The north American market is the biggest for health technology, and very appealing for all producers and inventors. But it is also a very complicated market and access to this requires knowledge, network, planning and capital. Through the two projects, RIP funded by Oslo municipality and HELP, funded by Innovation Norway, we invited 10 companies to a 6 days training program in the capital of medical device in the US, Minneapolis. On the ground we had RQR Partners and Gray Plant Mooty, who put together a comprehensive program and hosted us for the full days we were there. We started off with the discussion around culture. 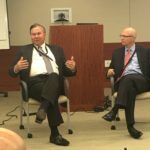 Jim Sargent, from RQR Partners, emphasized the importance of being culture conscious and respectful, drawing from his own experience as an American in Asia. 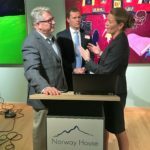 Norwegian culture is different than American, and in order to deliver on expectations from the market, you need to know this and behave accordingly. As in any business, you start with the customer. Defining the unmet medical need. We had a dialogue with dr Jim Presthus, who is a gynaecologist and an innovator in the field. He told us how the American system works in terms of surgeries. He will do as much as possible in his own clinic rather than in the hospital. It is more efficient for him as his time is productive and not wasted on travel and hospital bureaucracy. As Norwegians, it is a very different way of thinking, due to our public health system. But dr. Presthus had to think about how to make his time billable, almost like a lawyer. He also attracted business to his clinic by using social media and testimonials being a forward-thinking and ground-breaking professional in the field. We were all amazed at this cause this is a new way of thinking in the healthcare space. Getting into the nitty-gritty of market access, we moved on to reimbursement and regulative questions. On the panel was Chris Lyle and Jolayne Devers from JD Lyman. Key take-ways were that you need to plan and prepare. If you are not getting reimbursed you have no one to pay for your product, and consequently will not make it. Get the strategics involved early and be ahead of the game. It is complicated, especially if you have a class 2b or 3 product and getting the FDA approval is not necessarily the most difficult part anymore. Having partners as JD Lyman on board early was emphasized throughout the program by CEOs and investors. And we were lucky to have several CEOs visiting. Feedback from the companies state that this was probably the best part of the program; real-life experiences. And the CEOs were very candid, did not only talk about the successes, but also risks, fear and failure. It is just as important to learn from what did not go as planned as to listen to exits worth several million $. The message was more or less the same from all of them; plan it out, be ahead and get the team right the first time. Life happens, so you have to deal with that. Spend 75% of your time getting the financials and network in place, the rest to run the company. It costs 1/10 to be pro-active versus re-active. And rest assured that things will not move in a linear manner, you need to live with the certainty of uncertainty. Investors did also come in to give us a peak into their every-day life. First, we met with Dave Hemink, who has extensive experience from Boston Scientific and Cantel Medical Corp and has been responsible for large acquisitions by the companies. His take was that it’s about trust and people. It will take time, but when it has been built, be transparent. Start early to get to know the strategics, you will not work with all of them, so you need to get to know who will be there for the long run. It was 6 days with lots of input. Long days going through complex material, booking meetings in addition to the program and looking at your company from all sides. The participating companies report back that it was a great learning experience and also emphasized the fun in being together for a period of time. And since we were in the US, we tried to get some of culture in on our day off, and when the opportunity presented itself – we had to see American football. We got to go see the Vikings. 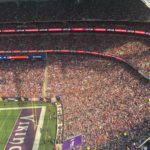 The new stadium hosted Superbowl last year (unfortunately the Vikings lost) and has a capacity of 66.600 people. It was the opening game of the season and it was packed. Great fun, especially since the Vikings won. As Minnesota is the state of 10,000 lakes, the Norwegians used also the opportunity to walk around a couple of them (being Norwegian, you want to go for a walk or two). Both Lake Calhoun and Lake Harriet were visited, both with wonderful walkways around them. We drove to Rochester to visit the Mayo Clinic. It was quite fascinating to see a full city being concentrated round healthcare. Unfortunately we were not able to get into the wards of the hospital, as they are very strict on who they allow in. As representatives for commercial companies, they did not open the gate for us. But it was still a learning experience and one worth having. Another highlight was the visit at the Bakken Museum, founded by Medtronic’s father Earl Bakken. A true inspiring walk through the history of technology. Minnesota is a state with deep roots to Norway and Norway House is a non-for profit organization with mission to celebrate that heritage. They hosted, for the second year in a row, a reception for all the companies in our program, business and partners in the area and our extended delegation, a reception where the companies pitched and we were able to meet business and network in the Minneapolis area. Coming back home, we all had our heads filled with inspiration, challenges, new and not-so-new ideas and lots of work ahead. The American market is tempting for us all, and it is within our reach. But preparation, knowledge, capital and network are essential. Participating companies: Aristeia, Independence Gear (Dignum), Cardiaccs, Otivio, RollerSafe, Respinor, ConceptoMed, ASAP Norway, Zyberia and SoftOx Solutions.